Contact Haf at Caban Iwrch on 01691 780388 or complete the enquiry form. 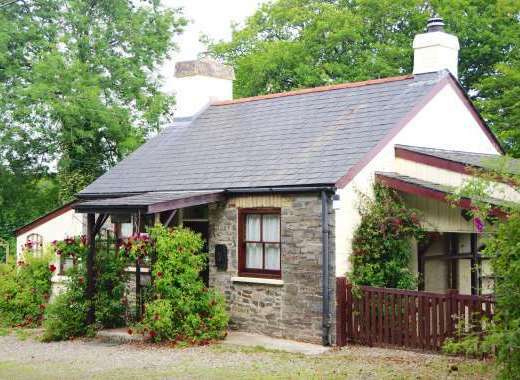 Caban Irwch is a lovely high quality wooden holiday lodge which sleeps up to 6 in 3 bedrooms. With a unique setting close to the Berwyn Mountains along with a warm bubbly hot tub, this luxurious log cabin is a great place to stay. Enjoy staying in a tranquil and untouched valley where the scenery is absolutely magnificent and getting away from it all in this wonderful part of Wales. Whether you enjoy hill walking, mountain biking or bird watching, it’s all possible in this area of Wales and only a short drive away are the towns of Oswestry, Llangollen, Chirk and Chester. The beaches of North Wales are also within easy reach. Furnished to a very high standard with comfortable good quality furniture and fittings, Caban Irwch offers warmth and comfort. Just 4 miles away are the local villages of Llanrhaeadr Y.M and Llanarmon. At Llanarmon you can find two highly rated hotels which serve good quality local food. Pony-riding and quad trekking are on offer within 10 miles. More places to visit include Lake Vyrnwy which is around 13 miles away and Pistyll Rhaeadr (one of the seven wonders of Wales) which is very close by. All short break prices are based on four sharing. Prices may vary for bigger group bookings. 50% of deposit should be received within a week of booking. Full payment should be made at least eight weeks in advance. In the event of a cancellation that is covered for a cancel refund (Accident, ill-health - through Doctors letter), Payment will be made at 80%. The cabin benefits from a large decked area with seating for outdoor bbq's etc! The hot tub is enclosed in a wooden all weather glazed gazebo with amazing views from each window! Maengwynedd Log Cabins are ideally located in glorious unspoilt countryside at the foot of the Berwyn Mountain range in Mid Wales with plenty to explore and see with a vast array of attractions on our doorstep. Llangollen (multiple attractions including the Canal and Steam train), The famous Horseshoe pass, Llanrhaeadr Y.M waterfall (one of the seven wonders of Wales), The famous Erddig Hall (chosen as the best estate home on the BBC), The historic city of Chester witha large Zoo and Aquarium and retail park (Cheshire Oaks), The historic Market town of Oswestry with the Victorian Park Hall Farm, Lake Vyrnwy for fantastic walks and bird watching (RSPB), Powys castle (National trust property), and Wales' largest natural Lake by the of Bala. North and Mid Wales' beaches an hour and a halfs drive away. Lovely cottage in beautiful location. Spacious, well equipped, fenced in garden and patio area. Fabulous private hot tub. Close to 2 other cottages, otherwise no near neighbours. Remote setting, surrounded by nature. Great for relaxing, walking, enjoying nature, getting away from it all, (helped by the absence of a mobile signal at the cottage and sometimes patchy internet connection). Dogs loved it and we had a super time. Highly recommended. The cabin was very lovely - situated in beautiful hills with nothing around but pure peace. The owner, Haf was very lovely. Unfortunately we didn't meet him but he kindly postponed our stay by one month as my brother was too ill to travel. This was so lovely of him as he didn't have to do this and it literally meant that we got to have a holiday as a family - which was much needed! I loved every minute and would DEFINITELY go back in a heart beat! It was beautiful, serene, and just the perfect retreat we needed! Hot tub was amazing and the local pubs were very cute. Recommended to families and groups and even couples if you like having lots of space.